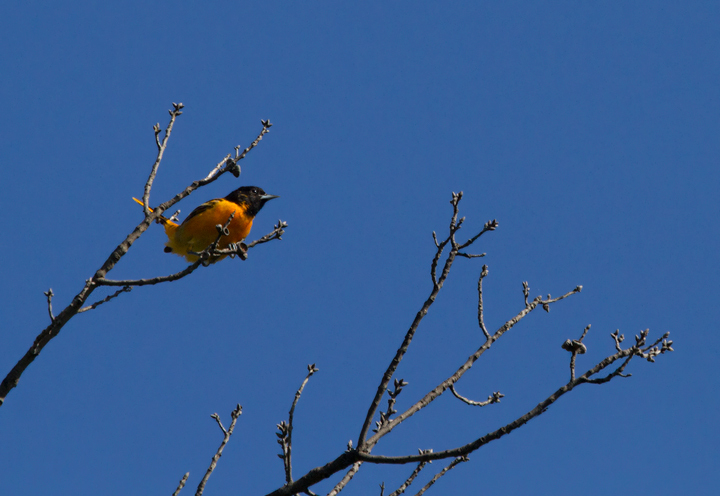 Central Maryland in Mid-May. 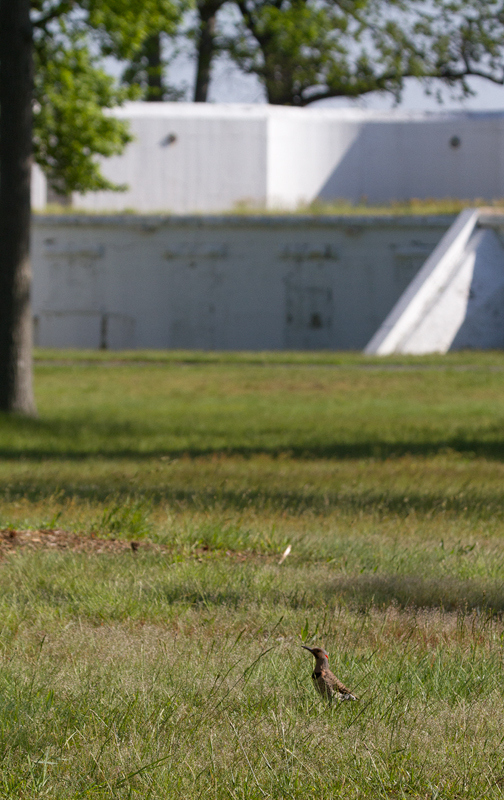 Last updated: 5/10/2012. 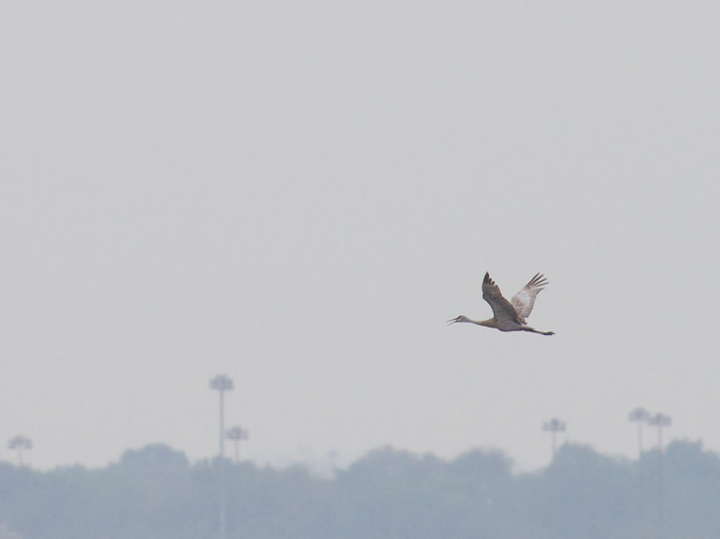 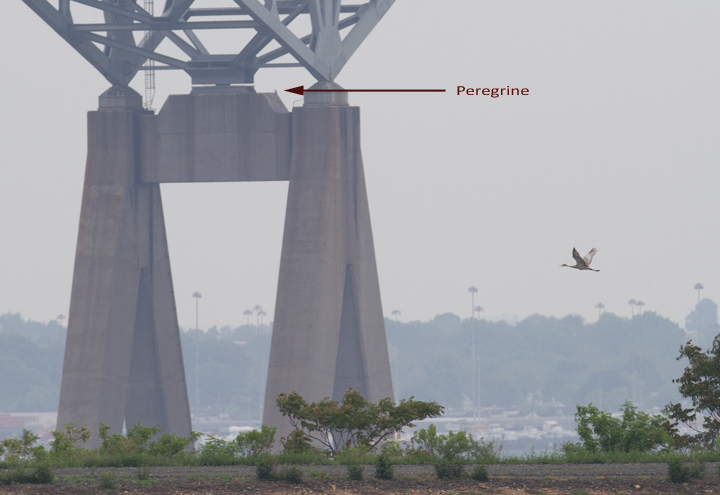 Above and below: A flyby Sandhill Crane was a major surprise at Swan Creek, Maryland on 5/9/2012. 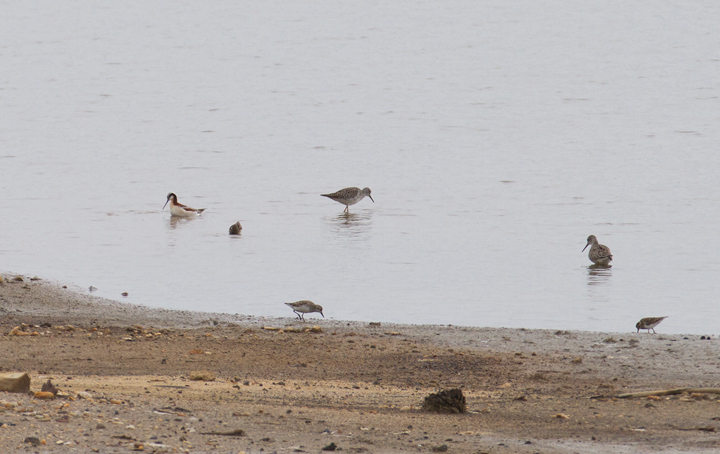 Below: A gorgeous breeding female Wilson's Phalarope at Swan Creek, Anne Arundel Co., Maryland (5/9/2012). 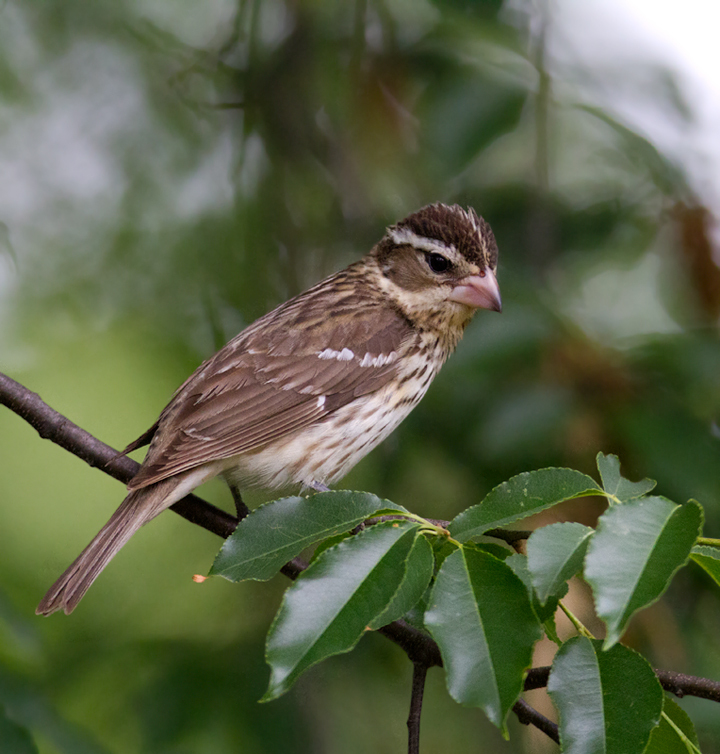 Found by Dave Powell, this is a very rare record for the county and a new record for the property. 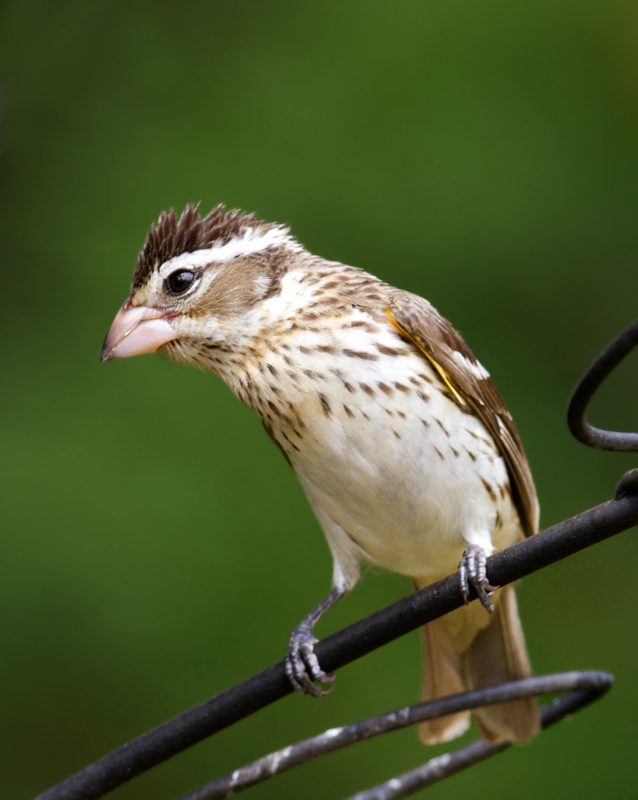 This species is famous for its distinctive spinning feeding style, as well as a reversal in sexual roles. 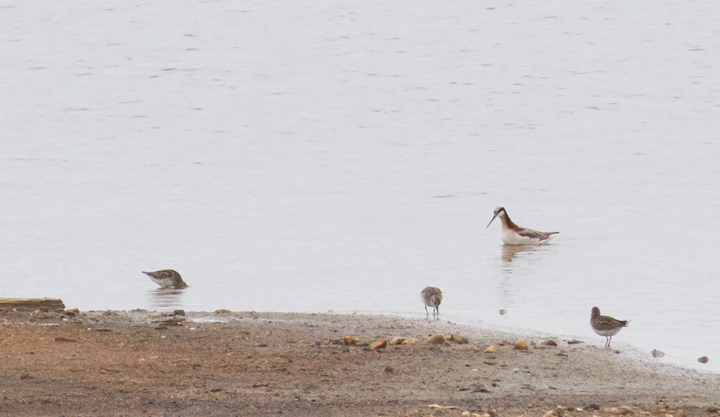 In phalaropes, the female has the brighter, more dramatic plumage. 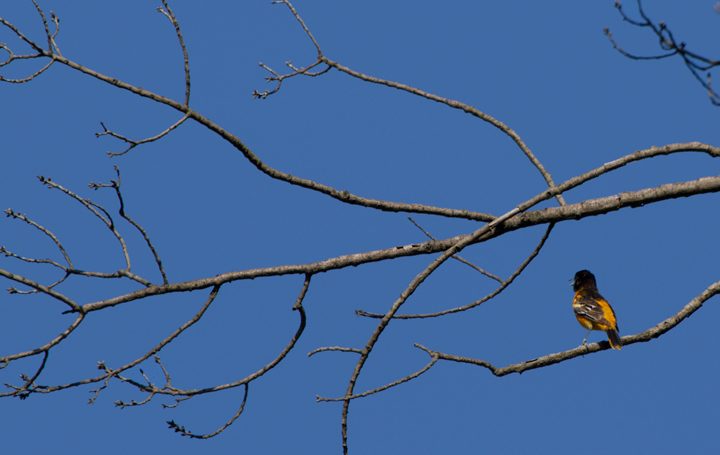 She courts the male, and the male sits on the nest and raises the young. 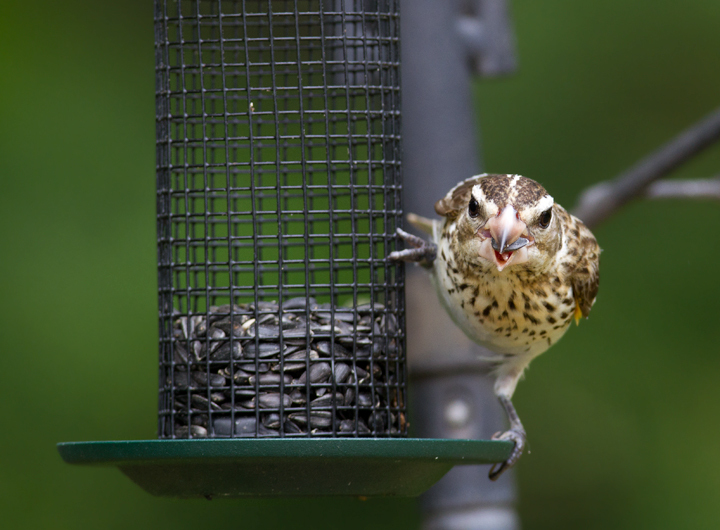 See the video of the awesome feeding style at the bottom of this page, the first bird video I have ever posted. 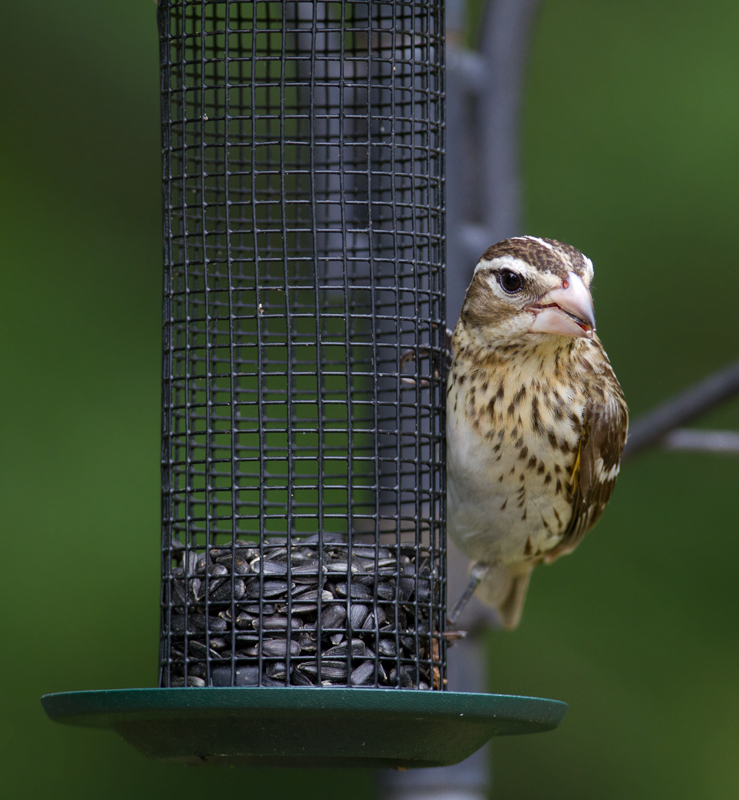 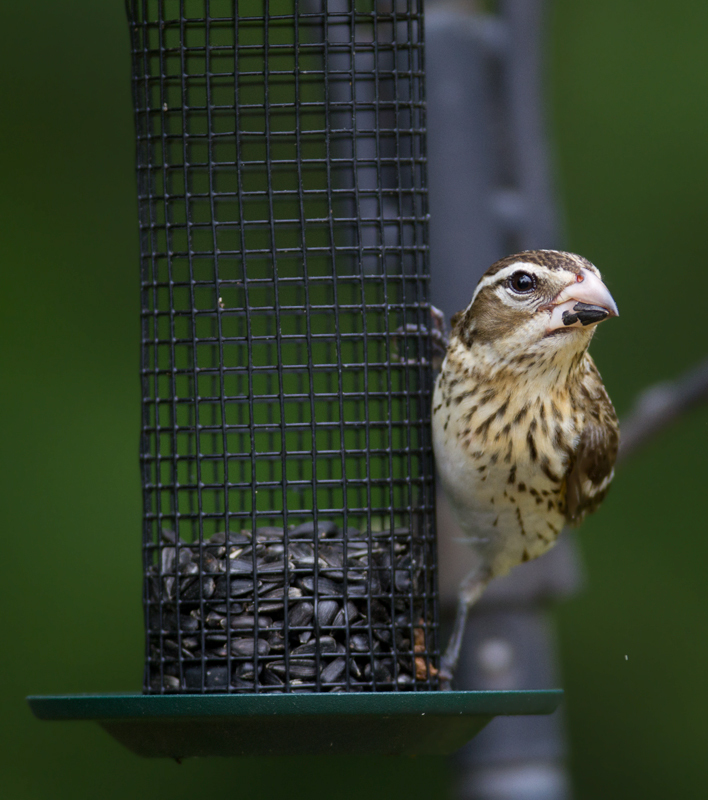 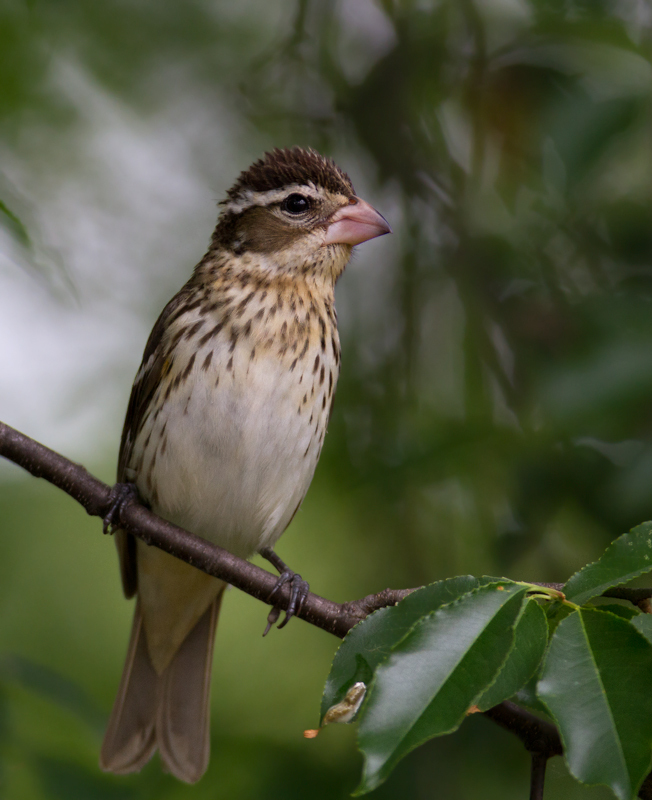 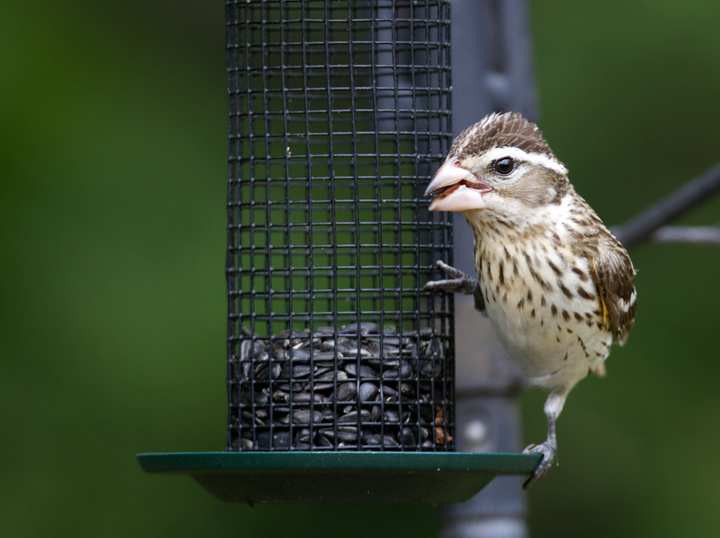 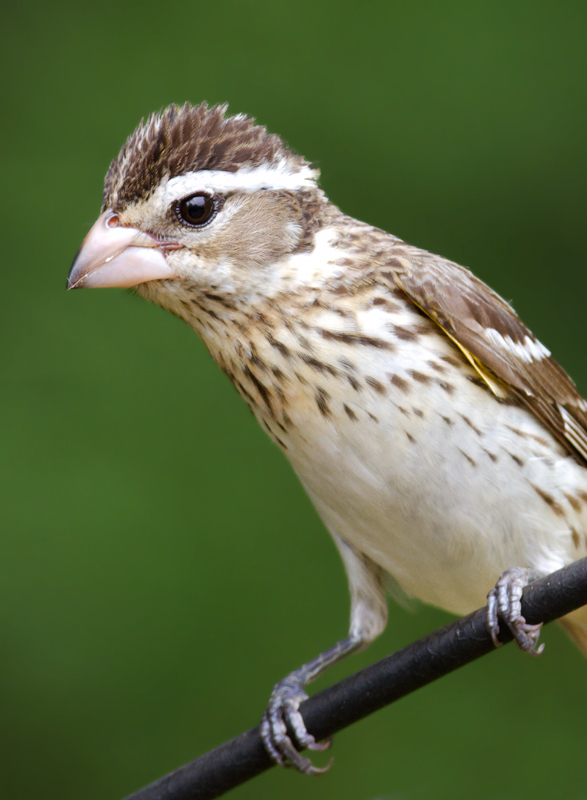 Below: A female Rose-breasted Grosbeak stopping over in our Pasadena, Maryland yard (5/9/2012). 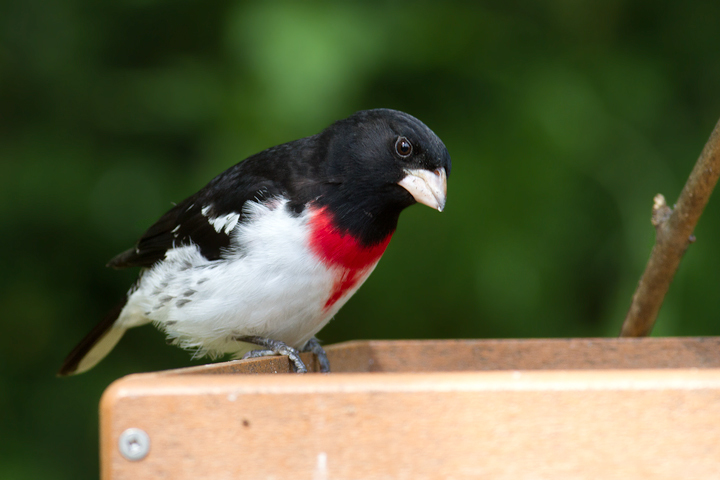 Below: At least two beautiful male Rose-breasted Grosbeaks joined her the next day - Pasadena, Maryland (5/10/2012). 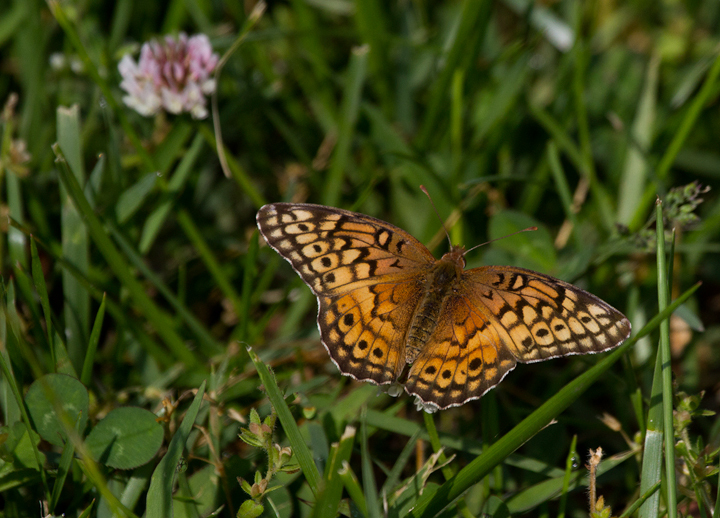 Below: A Variegated Fritillary at Fort Smallwood Park, Maryland (5/5/2012). 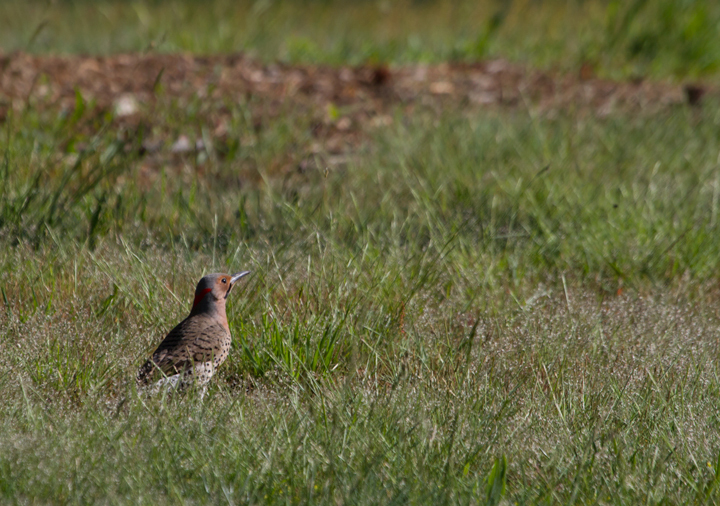 Below: A Yellow-shafted Flicker at Fort Smallwood Park, Maryland (5/12/2012). 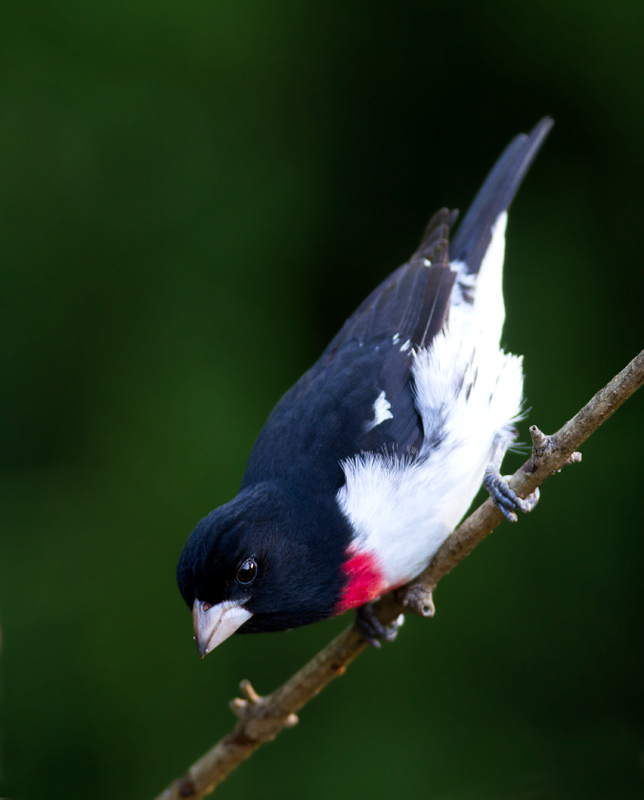 This species spends a great deal of time on the ground, where it specializes in feeding on ants. 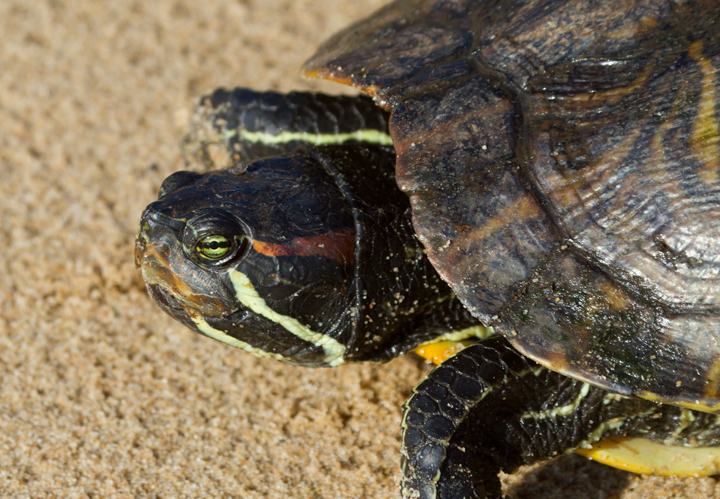 Below: A very large (8-inch-plus) Red-eared Turtle at Fort Smallwood Park, Maryland (5/10/2012). 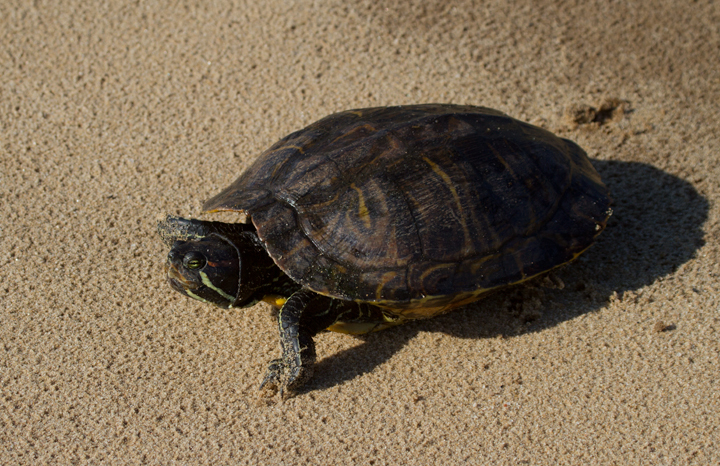 I spotted this turtle crossing the trail near the hawk watch and watched as it went down to the beach and swan out on the Bay. 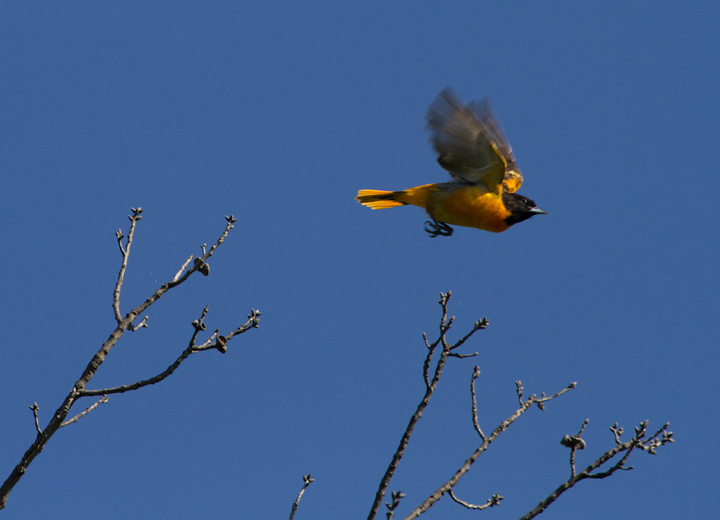 Whether this is habitual behavior or active dispersal, it's very interesting. 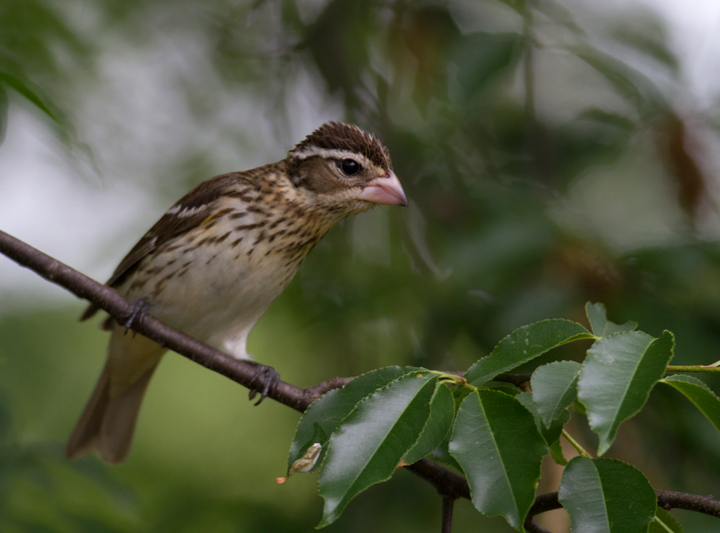 This species is introduced but now firmly established in Maryland. 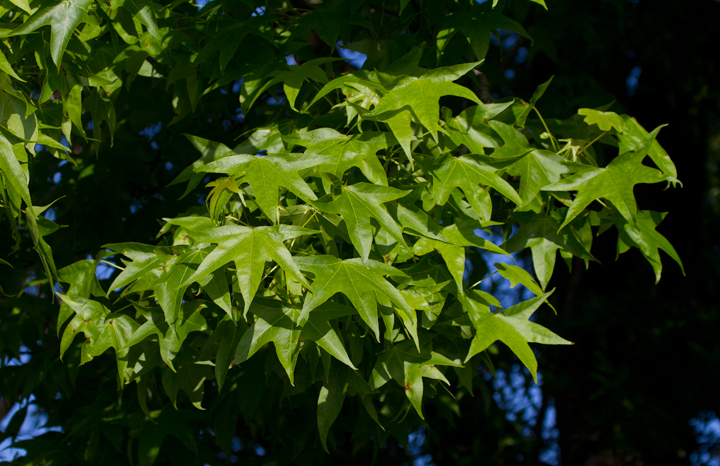 Below: Sweet Gum leaves at Fort Smallwood Park, Maryland (5/10/2012). 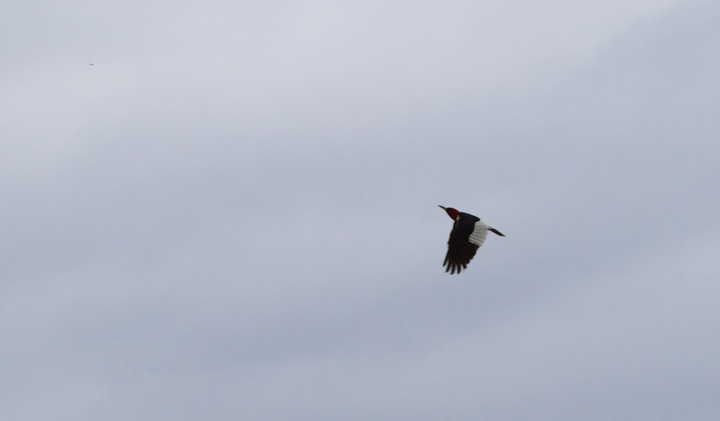 Below: A migrant Red-headed Woodpecker at Fort Smallwood Park, Maryland (5/8/2012). 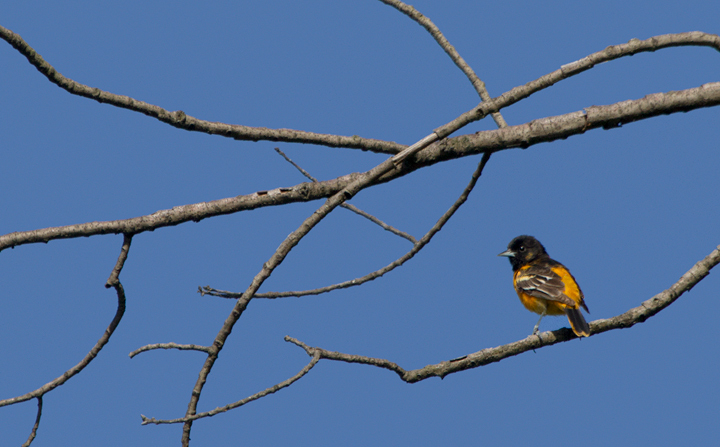 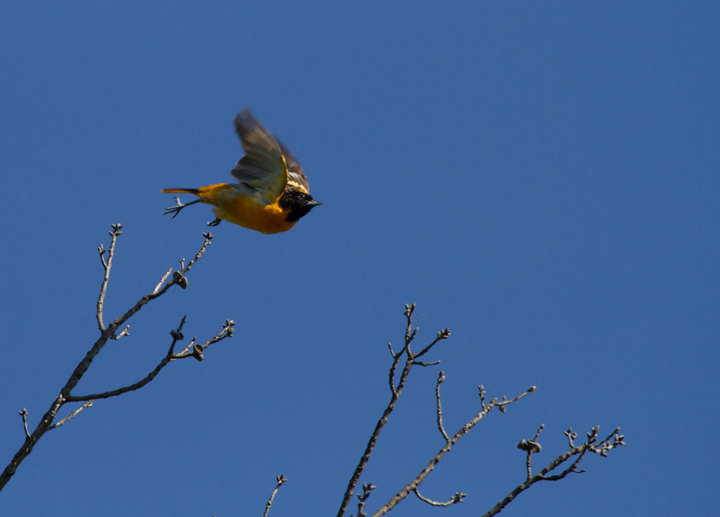 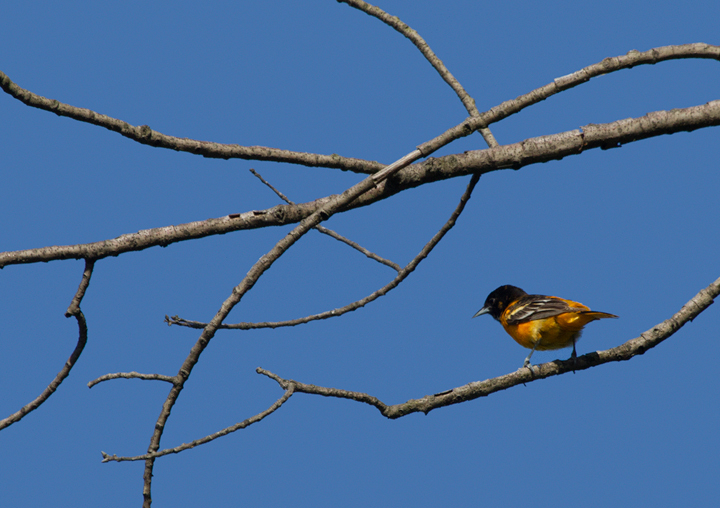 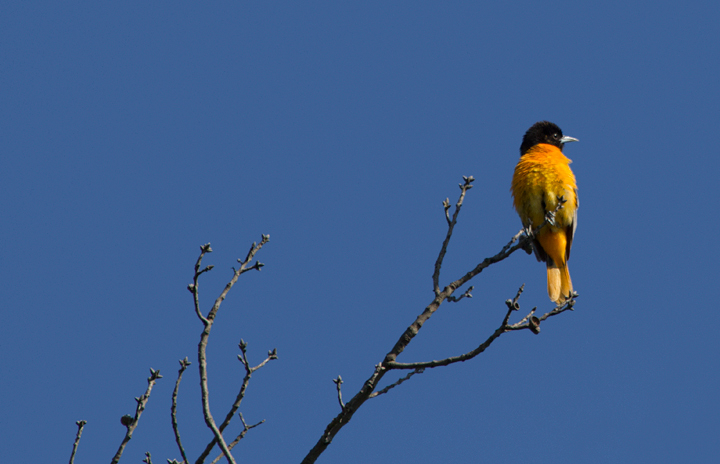 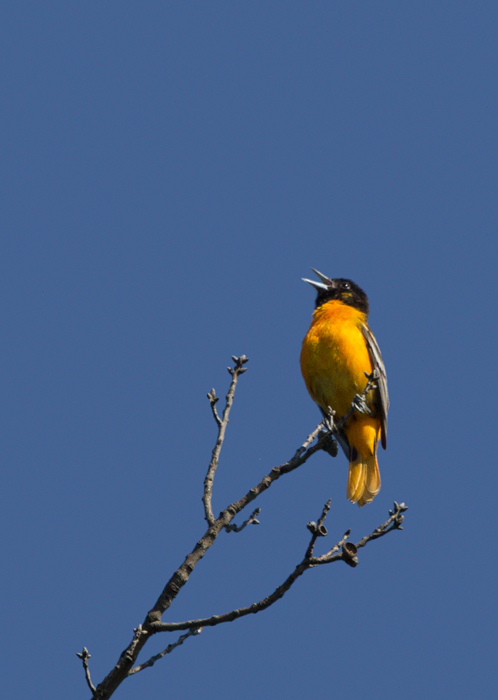 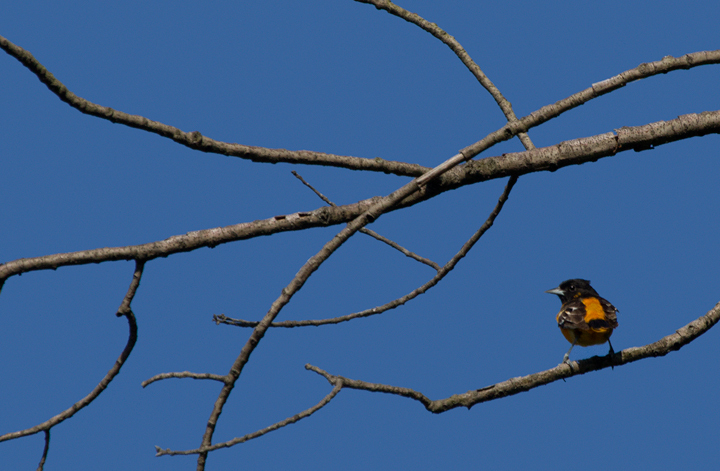 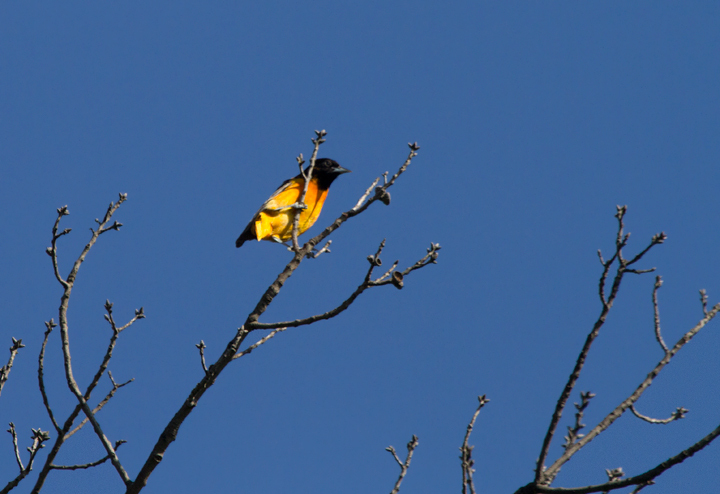 Below: A beautiful male Baltimore Oriole on territory at Fort Smallwood Park, Maryland (5/10/2012). 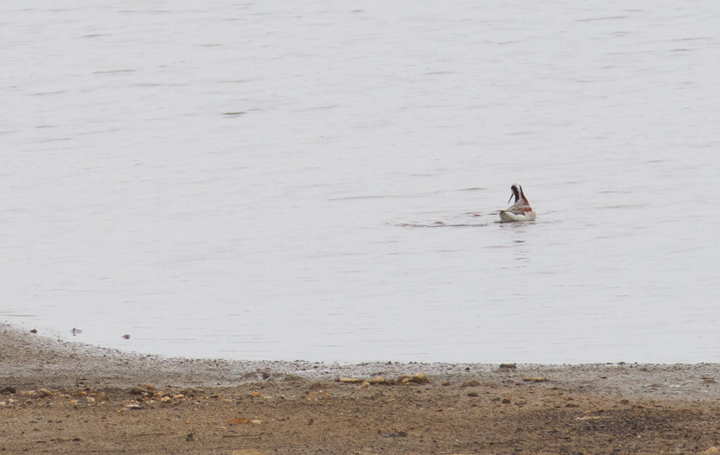 Video clip of the female Wilson's Phalarope's spinning foraging technique. 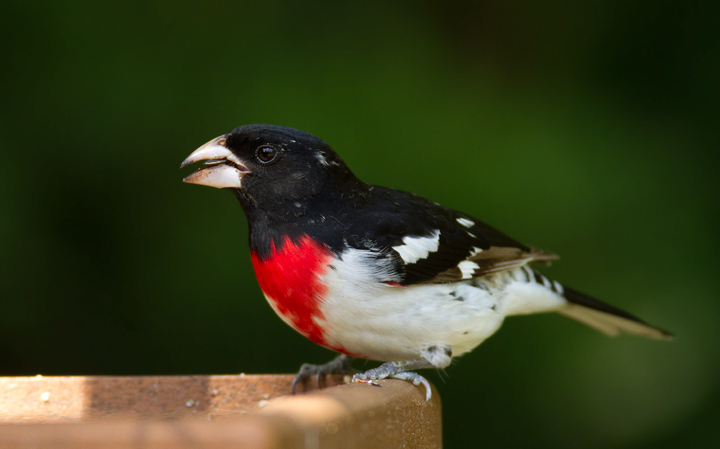 Also a fun comment from Tim Carney about seeing Stan Arnold run by while being stuck in a meeting, and not knowing why Stan was running. 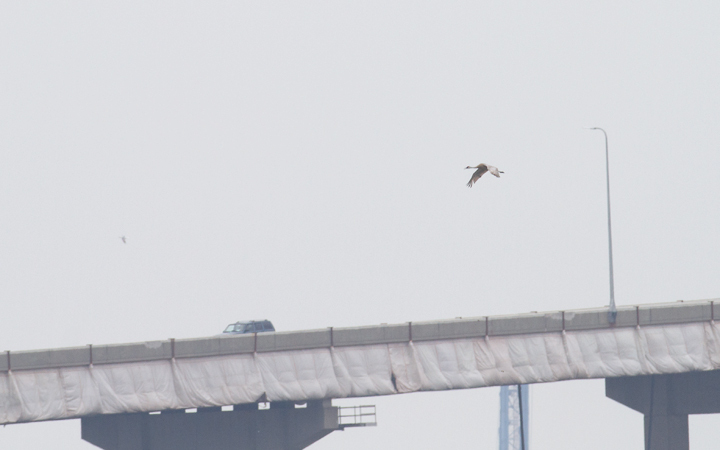 That had to be distressing!